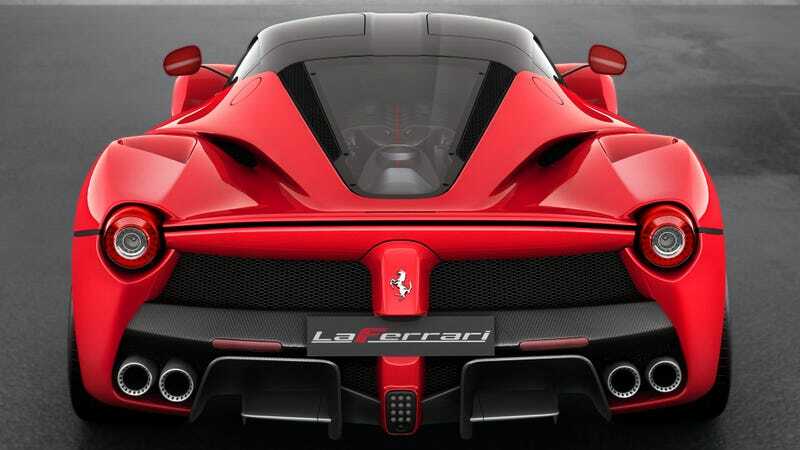 A new motor with an electric turbocharger could find its way into Ferrari models of the future we learned today via an application the automaker filed with the European Patent Office for the design. According to the patent, the engine features a turbine inserted into the exhaust duct that is driven by the exhaust gases. The turbine wheel has no mechanical linkage to a compressor, however—only serving as a way to power an electric generator that stores energy. The energy stored is then used to power an electric drive motor that is capable of driving the wheels and an electrically assisted compressor that forces air into the engine. Essentially, the exhaust pressure isn’t used to compress more air, but is directly converted into electricity. This can be used to compress air for the engine, but apparently can also go directly to an electric motor at the wheels.